To help you decide what software might best suit your own needs and tastes, we've put together a list of some of the very best ski apps available in 2018, on both iTunes and Android, covering everything from live slope updates to mountain safety. 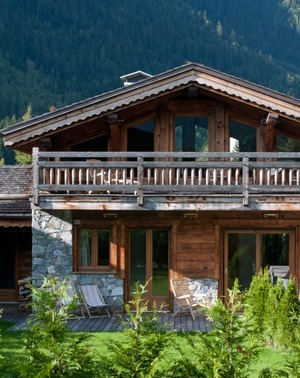 We've also now taken over management of a hotel in Nendaz, Switzerland; Hameau les Cleves. 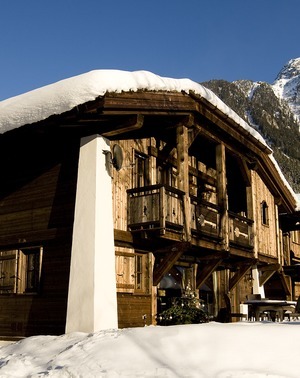 Check it out here; https://www.thehideawaysclub.com/properties/classic/hameau-les-cleves or email hotel@hameaulescleves.com for further details. Main function: Runs in the background, and keeps you informed on your stats, from speed to altitude. Using the data from your phone's GPS, Ski Tracks works to provide you with to-the-second information on everything from your speed to your altitude. The app stores data on each of your runs, so you can compare your performance throughout your trip - both with yourself, and your fellow skiers. It runs in the background so that it doesn't drain your battery too quickly, and is simple and intuitive to use. It's clear why Ski Tracks has already been downloaded by millions of people. Main function: Provides a highly detailed and comprehensive set of statistics for your ski performance. If you prefer a little more detail when it comes to tracking your stats, then opting for the innovative Trace Snow might be the best choice. Like other ski data apps, Trace Snow will collect and provide you with information on things like your elevation, speed, and distance - but this app takes things a step further. Trace Snow also measures information on your jumps, verticals, and even calories burned, giving you a far more in depth understanding of your recent routes. It works on any mountain in the world, and is available on iOS and Android. Main function: Tracks your stats, and provides live data on members of your party with the app. Combining all the features of the best tracking apps with the added bonus of live linking with your 'crew', SNOCRU could be the ultimate winter sports tracking app. With simple but in-depth usability, and one of the most aesthetically pleasing interfaces on this list, SNOCRU has connected groups of skiers on close to a million runs, and has recorded over 95,000 resort check ins. If your skiing party are equally interested in keeping up to date with each others' data in realtime, then SNOCRU could be the answer. Main function: Lets you take notes and customisable photographs, along with other tracking features. While Slopes may only be available to those of an Apple persuasion, if the iPhone is your device of choice, then Slopes could be the perfect companion during your next trip up the lifts. Providing many of the standard tracking features, Slopes also lets you take notes, and even take customisable photos in each location, which you can share and compare with family and friends. The addition of heatmaps is also useful, allowing you to track exactly where you've been, in case you stumble upon that special run or route that you simply have to ski again. 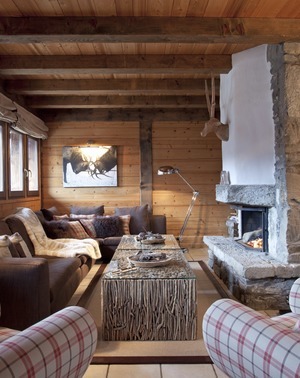 Main function: Provides you with downloadable maps of over 1000 pistes, that are available offline. A delightfully simple app available to all Android users is Ski TrailMaps. While the interface may not be complicated or intricate, and it may not have all the bells and whistles of some of the other apps on this list, Ski TrailMaps provides one simple but crucial function: it allows you to download maps of over 1000 pistes. If you're not particularly fussed about high-tech, internet-based, real-time data mapping, but simply want access to some helpful maps of where you're skiing, this could be the answer. The maps are easily and quickly downloadable, meaning that if you end up without signal (a distinct possibility on certain pistes) you'll still have access. Main function: Blocks and stores info on incoming texts and calls, so you can get back to nature. While not specifically a ski app, Offgrid is a fantastic addition to a trip if you're craving some time to disconnect from the hustle and bustle, and appreciate the things that really matter. The app shields you from all incoming calls and messages, and can even respond on your behalf to let people know that you're safe, and merely reconnecting with the outdoors. It stores any text/call information you miss into a useful newsfeed, so you'll be able to catch up with a warm drink by the fireside during the evening. Main function: Acts almost like a resort-specific social media platform, allowing you to post updates and statuses, and connect with fellow skiers. 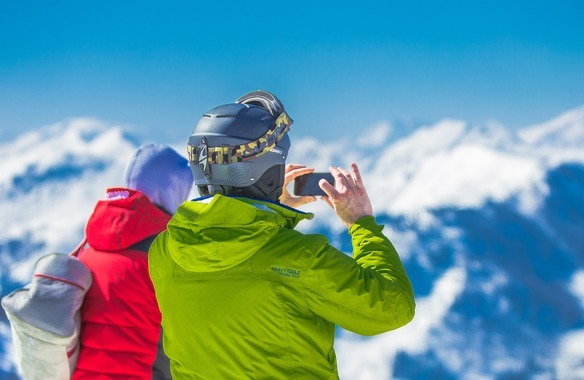 If you're visiting one of the large, popular ski resorts such as Vail, and are open to some socialising, then Epicmix could be the perfect network app. 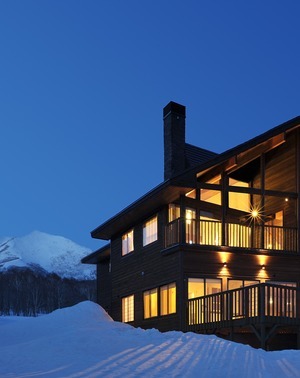 Working alongside several large resorts, the app works sort of like a social network, and allows skiers to post things like updates, statuses, and distances, and connect with each other on the mountain. 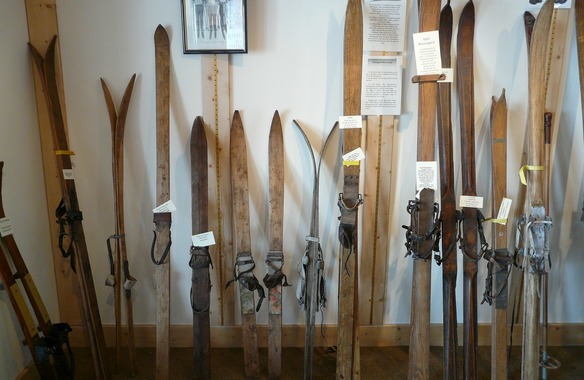 It's perfect for meeting like-minded skiers, and it can be great fun to rack up 'slope points'. Main function: Lets users geotag locations with videos, and track and watch other users' tags. Kinomap Maker taps into the spirit of adventure and exploration that's at the heart of all great ski trips, and takes it to a new level. Android users can use the app to create special 'geotags' in the form of videos, that are then be 'pinned' for any and all users to view. Users can see 'pins' and attempt to find and ski the same spots, making this a fun way to enhance your feeling of discovery and achievement. Main function: Provides expert, high quality videos to improve your ability, or teach you new techniques - for all skill levels. While many skiers have been taking on the slopes for years, we all have to start somewhere. Ski School is perfect for those new to the sport, or those looking to brush up on their technique. Offering a wide selection of top quality videos, along with innovative things like split-screen comparisons between your own skiing and the instructors and cue cards, Ski School is great for taking your skills to the next level, however experienced you are. This could be great for younger skiers to peruse during the evenings, to find some inspiration for things to try the following day. Main function: Short workout videos, with equipment-free ski-specific exercises to get you in shape before your trip. Skiing is definitely one of the most enjoyable and accessible sports for people of all ages and abilities, but there's no denying that it requires a certain level of fitness to perform at your best on the slopes. Skifit, from BeFitApps, is a tool that's intended to be used before you even set off for the mountains - it offers short, 8 minute workout videos, designed and led by a physiotherapist and clinical expert to specifically help you prepare for some time on the slopes. You won't need any equipment to master these ski-specific exercises, and the app is great for anyone, whether you're looking for some tips on getting into shape before a trip, or are trying to reach that next level of competitive performance. Main function: A Ski-centric virtual assistant, providing personalised audio guidance, and even adding game elements to the mountain. As products like Amazon's Alexa and Google's Home - along with Apple's classic virtual assistant, Siri - become a part of daily life, the developers at Skadi have found a way of using this technology to specifically enhance your ski experience. Skadi is a virtual assistant that transforms your holiday; using real-time analysis of geo-data, user behaviour, and local information, Skadi provides real-time audio guidance and tailored tips on where and how to ski to get the most of your adventure. The addition of 'trophies' and other gamified elements means that this app can turn your ski trip into an augmented digital adventure. 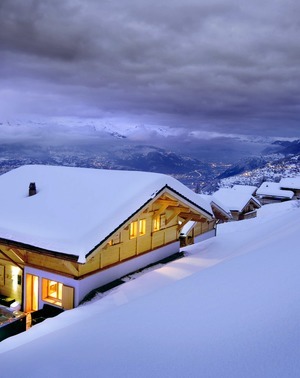 Main function: Live data for over 2000 resorts, on snow quality and weather conditions. OnTheSnow Ski and Snow Report is arguably the ultimate tool for keeping up with the weather and snow conditions. With live data for over 2000 resorts around the worldwide, the app provides webcam streams, live weather reports, and snow quality updates. It can put you ahead of the curve when it comes to conditions, and can even send you updates when new blankets of perfect powder descend, making sure you're the first in the know. Main function: Comprehensive real-time safety information, including geotags for hazards, and snow and avalanche updates. 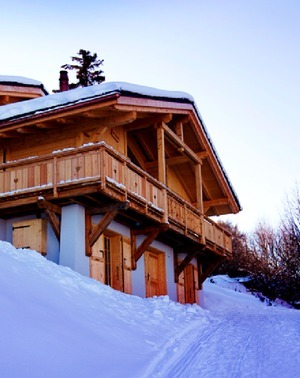 Mountain Hub isn't just for skiers, but is designed to benefit anyone spending some time on a mountainside, at any time of year. Working with resorts all over the globe, the app provides maps of the slopes, with geotags for any risks, dangers, or hazards, which are updated in real time. With live information on avalanches, snow pits, and snowpack testing, Mountain Hub is a great addition to your app collection, and makes planning safely considerably easier. Main function: Keeps group members in touch, and tracks whereabouts with live GPS updates. While designed more for the social aspect of your trip than for safety, SkiLynx nonetheless provides an invaluable resource for ensuring no one takes 'going off piste' that little bit too far. By enabling users in a group to stay in contact with each other via constant GPS tracking, you can see where your companions are in real time. When coupled with information on the grading and difficulty of runs (which the app also provides), being able to drop someone a message to let them know they might be in over their head could be useful. It's a fantastic tool for making sure everyone stays connected to ensure that nothing goes wrong - and were it to do so, you'd be instantly able to tell. Main function: Comprehensive safety tool, with compass, clinometer, and on-site risk assessments - can make emergency calls, and transmit location. Designed and created specifically to ensure you stay safe throughout your ski trips, Mammut Safety is a comprehensive tool. 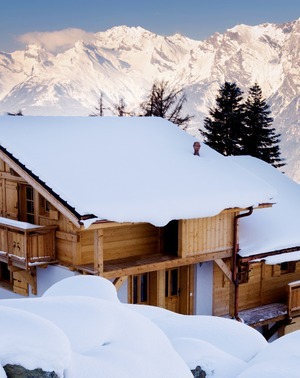 Linked to worldwide avalanche bulletins, and including things like a compass and clinometer, the app provides an on-location risk assessment, ensuring that the only hot water you end up in is the hot tub at the end of the day. The app can also make emergency calls to a number of your choice, and transmit your GPS data to the regional rescue services, providing an invaluable failsafe were things to take a wrong turn. Main function: Sends out a distress text/email to a list of emergency contacts, letting them know exactly where you are. Sometimes the simplest solutions are the best, and if you were unfortunate enough to find yourself in a genuinely dangerous or distressing situation on the mountain, the easier it is to get help the better. Red Panic Button provides an invaluable and brilliantly simple way to ensure that if things go wrong, you can let people know. You can program a number of contacts of your choice into the app, with both email addresses and phone numbers factored in, and if things do go wrong, simply press the big red button in the centre of the screen. The app will send out a distress message to all of your emergency contacts at once, with both an SMS and email transmitting your exact GPS location. It's highly customisable, and can even send out emergency Tweets to your Twitter followers. Main function: Emergency safety beacon, and calculates how long you can safely heat your car if you become stranded. A little bit more specific, but nonetheless useful. If you prefer to ski the more dangerous, remote runs, or if you plan to take a drive to an off-piste location, Winter Survival Kit could be a useful companion. It not only offers many of the emergency contact options of apps like Red Panic Button, but is specifically geared to provide tips in the unlikely event that you became stranded in your car. With a calculator to help you determine how much fuel you can burn for heating as its unique function, it's highly unlikely you'll ever need to use Winter Survival Kit - but were you to find yourself in this particular situation, it could prove invaluable.